SureDesk comes equipped with a Task Manager program similar to the one that you are accustomed to by pressing CTRL-ALT-DELETE on your Windows PC at home. If you find that a browser or other application seems to be frozen you can close it by using this program. This can free up your SureDesk and help “unstick” your session without having to Log Off your SureDesk. 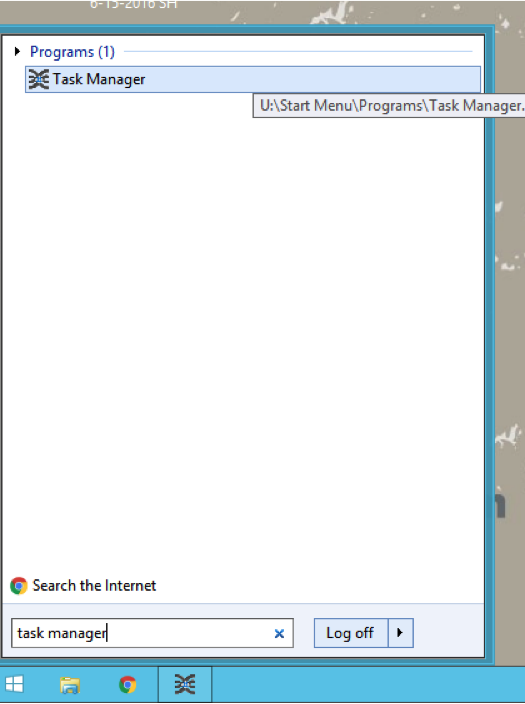 Task manager can be reached by doing a search for “Task Manager” on your Windows Start Menu. After launching the Task Manager, you will see a screen similar to the above screenshot. Simply choose the application that you would like to close and click “terminate process”. The application will immediately close. For easy access we would recommend pinning the application to your task bar. 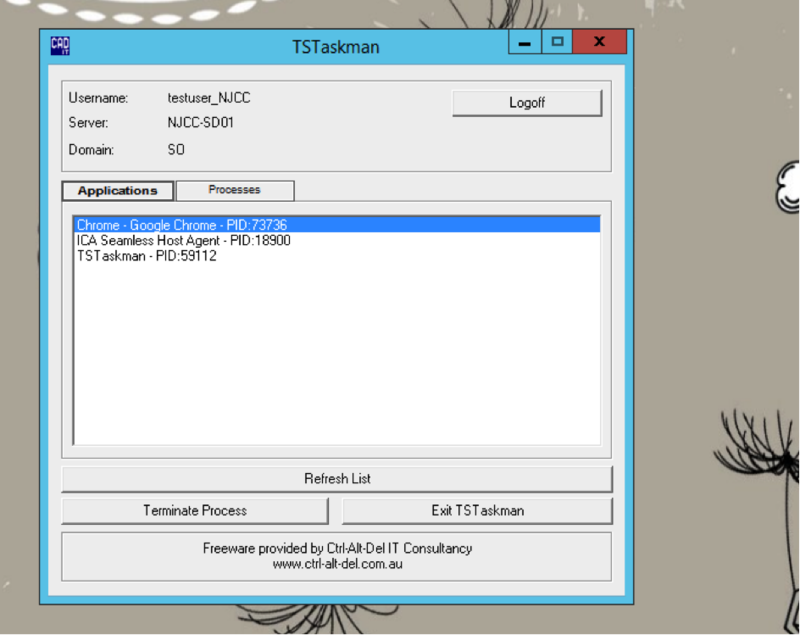 When the Task Manager is open simply right click the icon and select Pin this program to task bar as shown above.